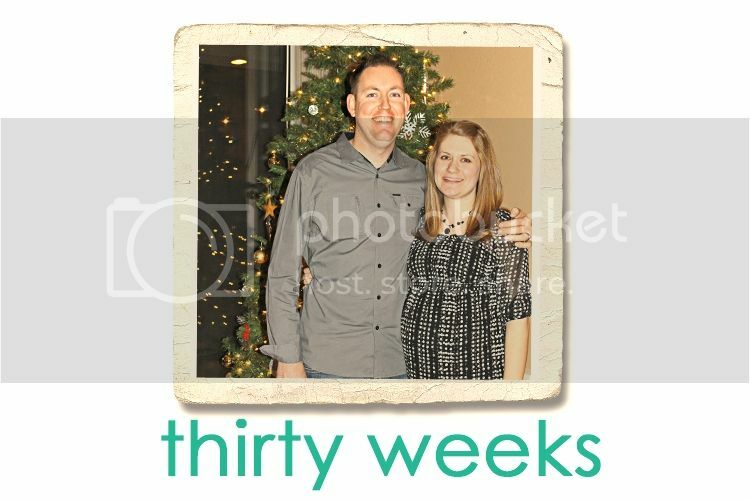 Jordy Liz Blogs: Thirty weeks. It hit me this week that we're nearing the final stretch. Not only are you literally stretching me more and more each day, but with less than ten weeks to go now, the countdown is officially on. We've got a nursery to put together, a to do list to accomplish and a house to get in order before you arrive. March is very much around the corner. You've thankfully relieved me from the rib pain, but positioned yourself on my right hip instead. The doctor confirmed exactly what I thought: you are head down with your shoulder pushing into my right hip, your bottom up near my stomach, and your legs kicking my left ribs. I can't lean over without you letting me know that it doesn't make you happy. My right leg has gone out on me more times than one as you continue to make your presence known. I did feel quite a bit of affirmation when the doctor confirmed I knew exactly where you were positioned. Almost all of the major pieces have been bought for your room. Now it's just a matter of pulling out the instruction booklets and putting them together one by one. I'll leave that one for your dad. I've hit the stage where sleep is pretty uncomfortable. Just when I get comfy, I wake up a few hours later needing to find a new plan. I'll take sleep in spurts over no sleep at all, however. As soon as I wake up, so do you, and I enjoy resting in bed (wide awake) feeling you move. We celebrated our final New Year's Eve where we won't need a babysitter. When these major holidays hit us, I can't help but think how this time next year will be so very different and so very good. You will be the best part of this year, by far. yeah for 30 weeks! you are getting so close! and how exciting that the room is almost done!! !